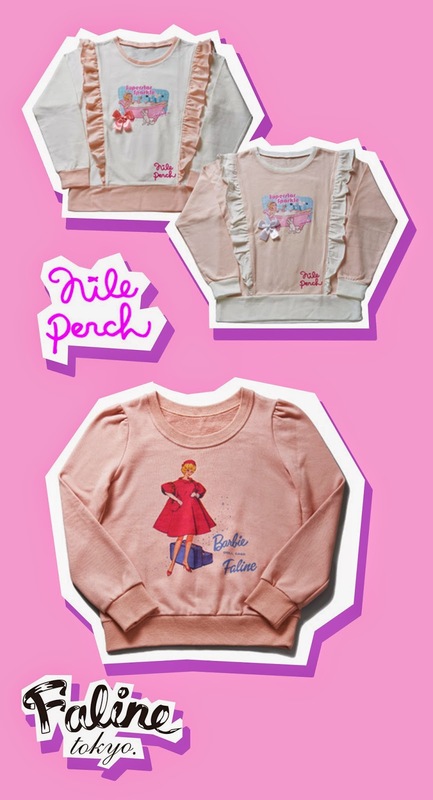 Nile Perch and Faline Tokyo both made super cute sweaters with Barbie prints for the laforet x Barbie event! I think these would look really cute with Fairy Kei or just comfy casual for anyone who likes cute pastel clothes. The retro feel in the print makes them even more perfect for Fairy Kei. I definitely like these!